Examining synchronic and diachronic discourses of the body in relation to groups sheds light on concepts of ›ethnicity‹ from an emic perspective. From the tenth century, monks, first in Spain and later in North-Western Europe, began to compile lists of ethnic characteristics, summing up the virtues and vices of peoples. 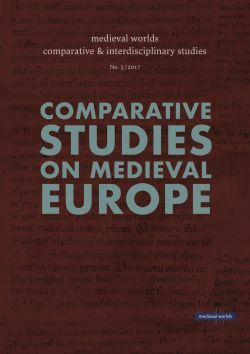 By the twelfth century, such enumerations of ethnic diversity featured in textbooks of rhetoric, collections of proverbs, and in poetry and prose. The ontology of ethnic characteristics likewise transformed from the religious-ethical to the medical. Early medieval monks catalogued the virtues and vices of groups loosely arranged according to an Evagrian or Gregorian ethical system of seven or eight cardinal sins and virtues, expounding the function of groups‹ moral dispositions, which were, in the eschatological history of salvation in both the past and the present, subject to free will. However, from the twelfth century, under the impact of Galenic humoral theory, students of the liberal arts began to attribute ethnic characteristics on biological grounds, referring in particular to the heredity influence of climate. In the same period, ethnic groups were now considered as entities dwelling in bounded territories that bore the stamp of their name, sometimes envisaged as a body politic. As such, the ethnotype, and its ruler, could stand as a pars pro toto for the ›nation‹.